For me, the art compositions of Kandinsky has always had a connection to music, not just due to the names of his paintings which are pervaded by musical terminology and, from a distance, could be interpreted to add to a holistic, seamless symphony and conglomerate. This approach and take on Kandinsky was not disputed by the man himself, whose theoretical works on colours, i.e. assigning spiritual qualities to them and their combinations and shade nuances. Given the above, it is not further wondrous that he also hinted at the phenomenon of synesthesia, i.e. hearing colors or seeing music, and his art being aimed at purposefully touching your soul, and his friendship with the Austrian composer Schoenberg helped to break down barriers between the realm of painting and music. This opulently illustrated tome displays Vasily Kandinsky’s brilliant use of color, shape, and composition through approximately 250 full-color illustrations on 320 pages and is framed by extensive essays penned by leading experts. 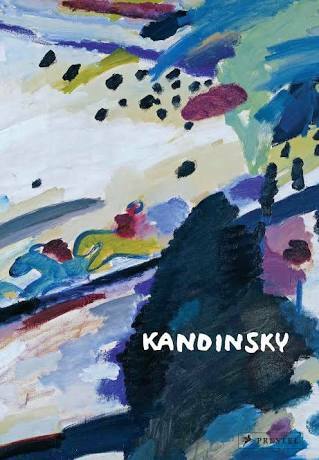 The focus of the essays is on Kandinsky’s evolution throughout his varied career from the humble beginning in Russia via his immigration to German, where he fell in love with the Art Nouveu movement, culminating in the formation of the Blue Rider group, his love affair with the Bauhaus movement and the final period of his oeuvre in France. What makes it a quality resource is that all components are meticulously researched yet presented in an accessible manner, portraying the power of Vasily Kandinsky’s vision. Interesting, a book on the signer of Nickelback? 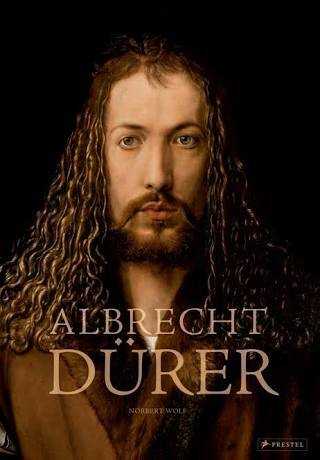 No wait – Albrecht Dürer, the Germanic renaissance artist you would know from his striking self-portraits. From 1471–1528 his artistic impact via painting, printmaking and woodcut illustrations, which was elevated by expanding the range of tones and expressionist range to become an art form of itself, left an indelible mark on the European landscape that reverberates through the art world to his day. Dürer was a maverick who pushed the boundaries of what was thought to be technically possible and a virtuoso craftsman, drawing heavy influence from the era and realm of Italian renaissance, which were intended more for connoisseurs and collectors than for popular devotion. The technical intricacy, intellectual vision, and psychological focus were unmatched by earlier printed work. This certainly helped along with his ambition and resourcefulnessto eventually ascend to become the official court artist of the Holy Roman Emperors and aided in striking up friendships with the artistic and philosophical elite, which enabled him to create artwork on an even grander scale. Prestel Publishing’s tome on Albrecht Dürer is based on a solid foundation of academic research that sheds light on the man as both an artist and man and does illustrate the reasons behind the national and international influence he still exerts. The focus to detail with the reproductions of his work is a thing of beauty. Zooming in via close-ups of tiny engravings and woodcuts, this is the catalogue raisonné you want to have on the man and worth its price for the depictions alone.